Even though A. & P. are AVID Notre Dame fans, not everyone can be as perfect! 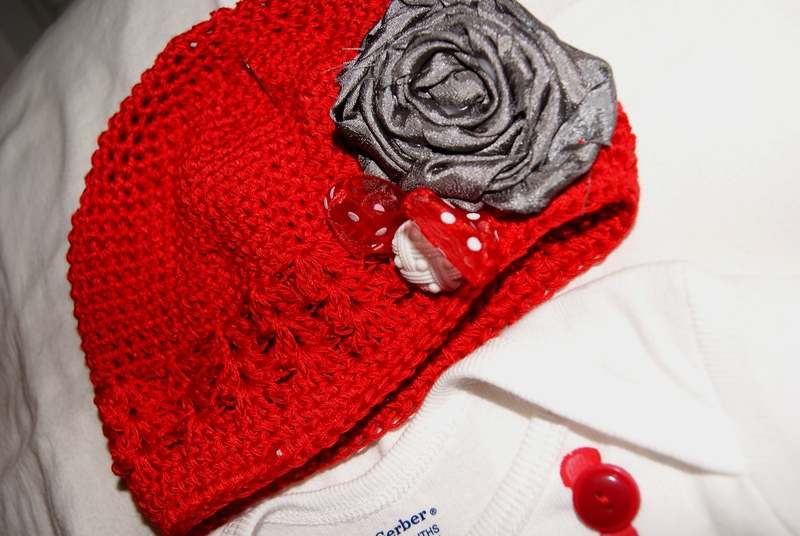 When past bride and friend L. asked her to create something for her new niece in THE Ohio State red, gray and white, A. looked past her favorite team to come up with this adorable creation! 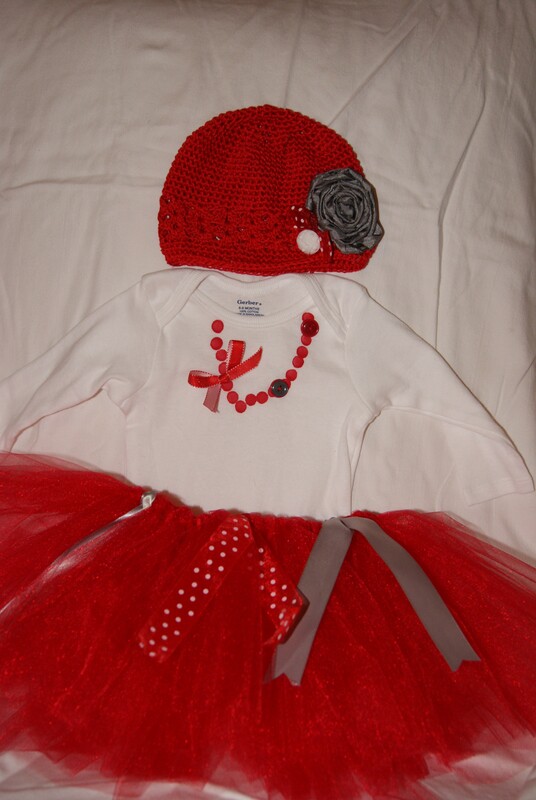 This Baby Girl may not be backing the right team- but she certainly will be the cutest one at the tailgate!